If we shrink to 50 centimeters controlling body temperature becomes a real challenge. Large mass bodies can much easier deal with differences in outside temperature. But perhaps a simple evolutionary adaptation, observed in small mammals and human infants, points towards a possible solution. Biologist Per-Ivar Kloen informed us that small mammals and newborns, especially those in colder climates, have an interesting way of keeping warm. They produce brown fat. Most are familiar with white fat tissue, which provides insulation and serves as an energy depot. But unlike white fat the brown variety has the unique ability to self-generate heat by oxidizing its fatty acids: a process known as non-shivering thermogenesis. 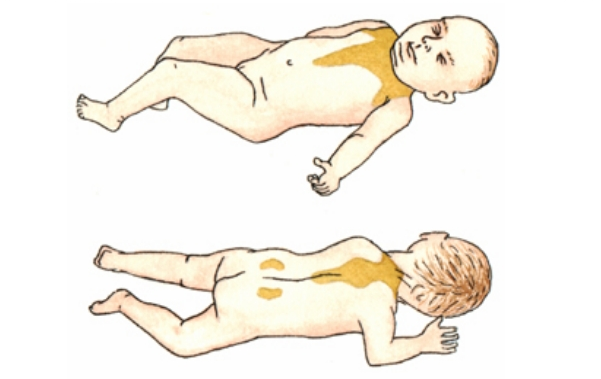 Brown fat is most prominent in newborn animals but what makes it interesting is that it is also produced in human infants where it comprises up to 5% of body weight, before it diminishes with age. Substantial quantities of brown adipose tissue can also be detected in adult humans, especially when the individuals are regularly exposed to cold temperatures. Perhaps the shrinking human body will counter the challenge of extreme temperature changes with the replacement of white fat by its brown alternative. One additional advantage: it stuns growth as calories are used to stay warm rather than grow.